Does the element of fashion at the Olympics surprise you? Well, get over your surprise, because here is an interesting fact: besides scores of athletes and sportspersons from all over the world, there are plenty of big designer names involved in Olympics. It is not the most talked about sporting competition for nothing. The team uniforms and competition outfits get as much attention as the prowess of the athlete, especially at the Parade of Nations in the opening ceremony of the Games for the former. Designer names like Christian Louboutin, Ralph Lauren, Simon Jersey and Stella McCartney will also be competing for glory at the Games. For Great Britain, while Simon Jersey has designed the team uniform, Stella McCartney has lent her hand to the Adidas sports outfits for the athletes. USA’s flag bearer and celebrated swimmer Michael Phelps wore an outfit by Ralph Lauren. 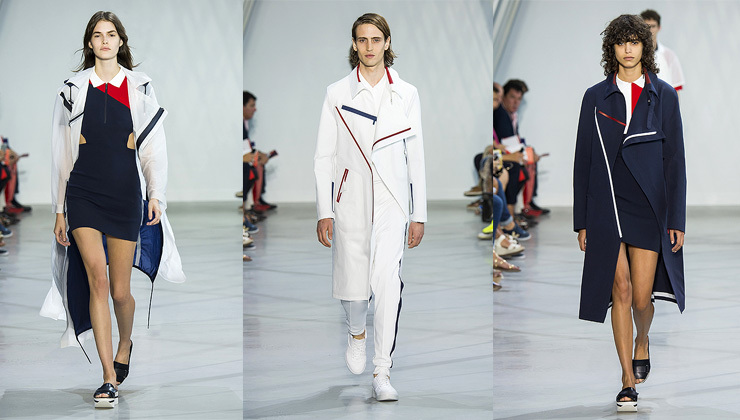 Lacoste, which is dressing up the French team, presented a special spring/summer 2016 collection inspired by Rio Olympics, at Paris Fashion Week last year. The Olympic Games are a great opportunity for various brands to grab eyeballs at an international level, and sports clothing has taken on a decidedly fashionable twist in this arena.